Magor Marsh SSSI at Magor Marsh01633 889048work Nature ReserveMagor Marsh is the last relatively natural area of fenland on the Gwent Levels. From the fleeting glimpse of a kingfisher, to the sight of colourful dragonflies darting over the reens, this is an inspiring place to visit. In autumn and winter the reserve is particularly attractive to birdwatchers, as the pond provides a sanctuary for wintering wildfowl and passing migrants. 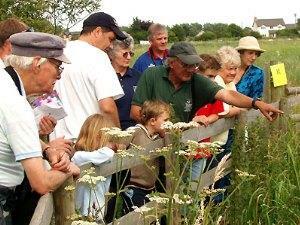 Tue 28 May BioBlitz the Marsh! Sat 13 Jul Life on Marsh Festival!